Emhlangeni Trout & Archery is a beautiful area situated in Mpumalanga, between Springs and Delmas, and just a few kilometers from the N12. Don’t get me wrong, when I say Mpumalanga, I mean literally on the border of Gauteng, and a short and easy 30 minute drive from Edenvale. Darryn and I departed early on Sunday morning for Emhlangeni Trout & Archery to do some winter fly fishing for the Rainbows that they have on offer. We left Edenvale at 5.30 am and got horribly lost. I managed to put the GPS co-ordinates in wrong (It was en early Sunday morning after all). After driving around Delmas for an hour, Darryn identified the problem, and after another 20 kilometers, we arrived. We were greeted by Pieter who opened the gate for us, parked the car and set up the rods. We did a brief scout of the area and found the water to be incredibly clear. 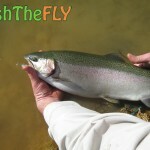 The clarity of this water is unmatchable in the immediate area, and you can see all the fish, even in the deeper parts. Emhlangeni is known for it’s Bass fishing, they stock good size Largemouth Bass every September, and there is a healthy population all year round. In May, they stock Trout, and depending on availability, stock Rainbow Trout, Brown Trout and Golden Trout. Darryn and I started fishing an island, where Lapa 3 is situated. The fish were in full spawn and were chasing each other all around the place. We presented a selection of weighted orange wet flies to the fish, who were slightly interested in the morning, but as the coolness of the morning faded away, the fishes interest seemed to die off. I think this was due to them mainly being more interested in spawning, our rust fly skills and the fact that this is a catch and release venue (Which is amazing)… A lot of these fish have been caught and released since stocking, so they are wary. As the day went on, the anglers seemed to increase on the banks of the dams at Emhlangeni. I think if we had arrived at our predicted time (6am), we would have caught a lot of fish, and figured out the best patterns and retrieves for the day. Around 9.30 am, Darryn had a chase, and he watched the fish slowly take his Olive Fritz-Bugger on the pause, and struck. The fish took a few seconds to realise what was happening, and then started going on some impressive runs, and jumped a few times. After 4 minutes I netted the fish. 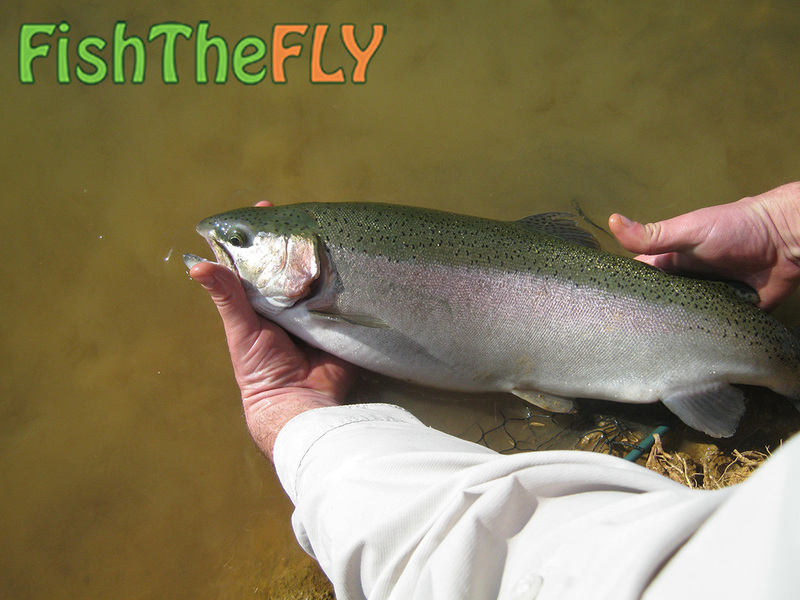 A beautiful Rainbow Trout female, of easily, 2.5 kilograms. I would estimate this fish at closer to 3kgs, simply because of how heavy it was. We didn’t bother taking the fish out of the water, as she seemed to be full of eggs and we wanted to minimalise stress on this gorgeous Rainbow. We managed to get a photo of it, my net is quite large, and you can see this fish overlapping it with ease. We removed the fly, and the fish almost revived herself, as she swam off with force. An hour or so later, we saw her swimming around in the same vicinity. After this, I quickly changed to an Olive Fritz Bugger, but had no such luck. 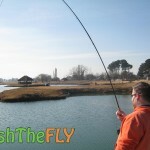 As Darryn persevered with this fly, I changed to a variety of wet flies, and eventually finished off the day fishing floating line. The Rainbows were not too interested in any nymph, buzzer or dry fly patterns I presented, even after I scaled down to 2lb (7x) tippet. We eventually decided to call it quits for the day around 1 15 pm, and headed back to Edenvale. It was a great trip, and would love to fish this venue during a more quiet time (Like a Friday, or in mid-week). 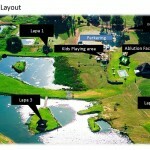 If you want to fish a beautiful venue for Rainbow Trout and Largemouth Bass close to Gauteng, this is the place. 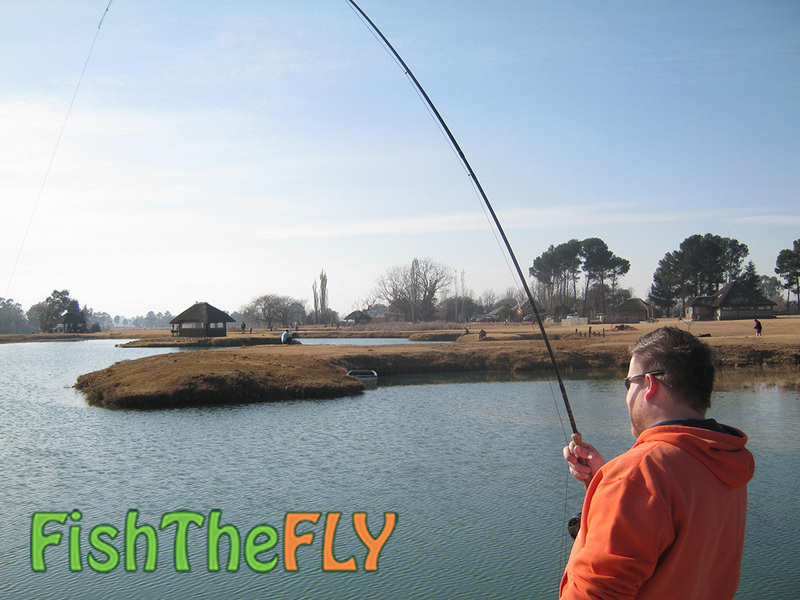 Only 47 kilometers from Edenvale (Of which about 40 kilometers are highway), and the clarity of the water with the seemingly endless amounts of fish should be enough to target any angler who would like to fly fish and have the opportunity to catch and release. 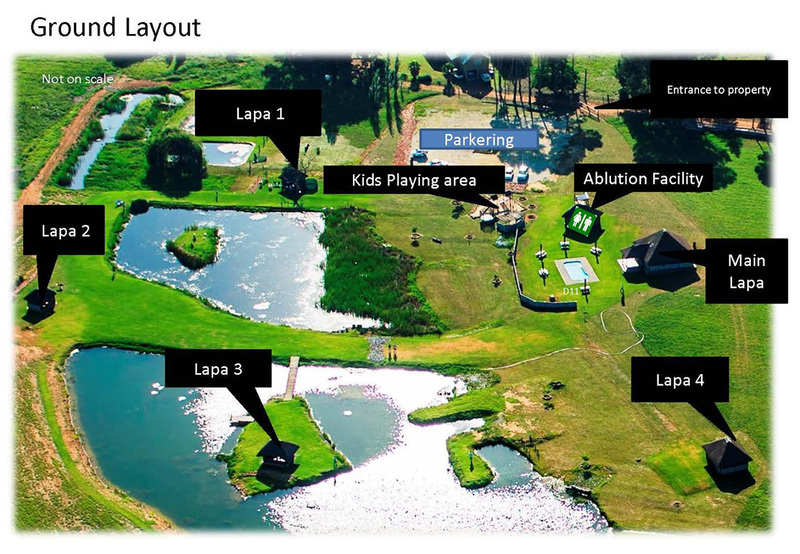 Emhlangeni Trout & Archery also have a great, fully licensed, restaurant and many lapa’s with braai facilities and spotless ablution facilities, making this a great place to take the whole family!